Silver Spoon Entertainment - Live Event Excellence Since 1995! : Walkin' In High Cotton! Kick the tires and light the fires! The Cotton Exchange in Waterford hosted Conley & Maria's country-inspired reception, and we tore it up! The planning for this celebration came together quickly, and everyone played an important part in making it an unforgettable night. After our fantastic meal, country artist Timmy Kash took the stage for the first hour and rocked the house! 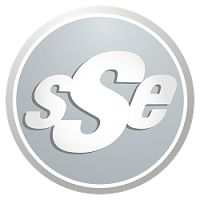 SSE took over the tunes at 8 o'clock, and we partied all the way 'til Sunday morning. It's hard to believe this was 'only' our 2nd wedding of the weekend...we still had our 3rd to go! Big Congrats to Mr. & Mrs. Jensen!